According to my post “How important is water?” (see January archive): “Water is the most important life-sustaining substance that we put in our bodies.” That post gives information about the timing of water drinking. There are other liquids that nourish us, and we should drink them too. 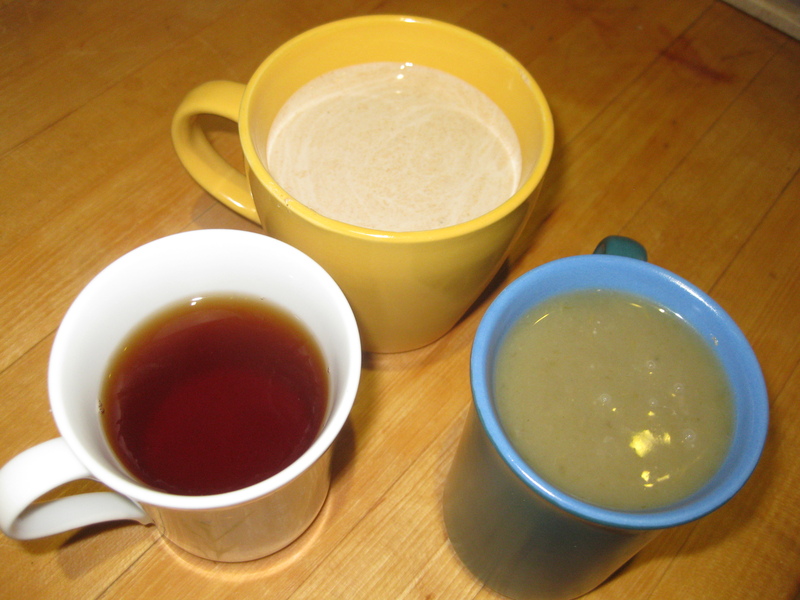 They are soup (thin soups that can be drunk), tea (green, red, black, oolong, white, jasmine, chai, and cardamom), beer (in non-addictive amounts), and drinks made from soybeans and brown rice. These liquids add nutrients and they add sensations that are different from water and different from solid food. These liquids do not replace water; they are in addition to. These liquids, together with the influence from listening to music that is uplifting, are elements that nourish the body and the soul. So a beer at the folk club is great for the body and the soul! Yes, one beer at an evening of music is nourishing for the body and soul.